Easy anime cosplay sounds like an oxymoron, doesn’t it? However, it can be done! 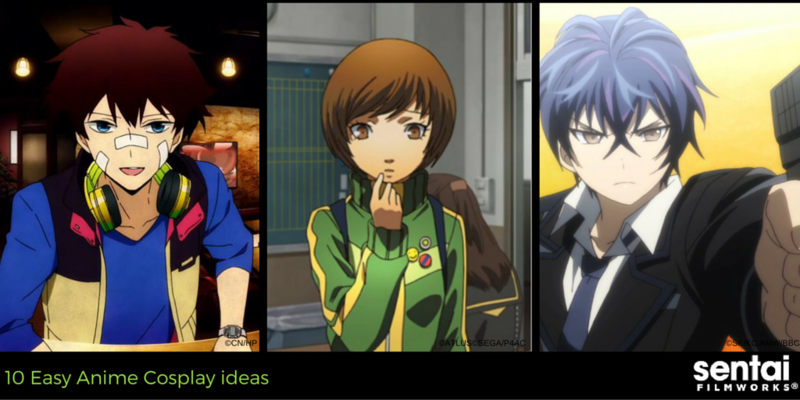 For this post, we consulted some of the best cosplayers in the Sentai Filmworks office to develop this list of easy anime cosplay ideas for you. Throw on dark purple pants, a long-sleeve purple shirt, and layer Sora’s iconic yellow “I Heart Humanity” T-shirt on top of it. Bonus points if you can make your own arm-crown out of felt and rhinestones. 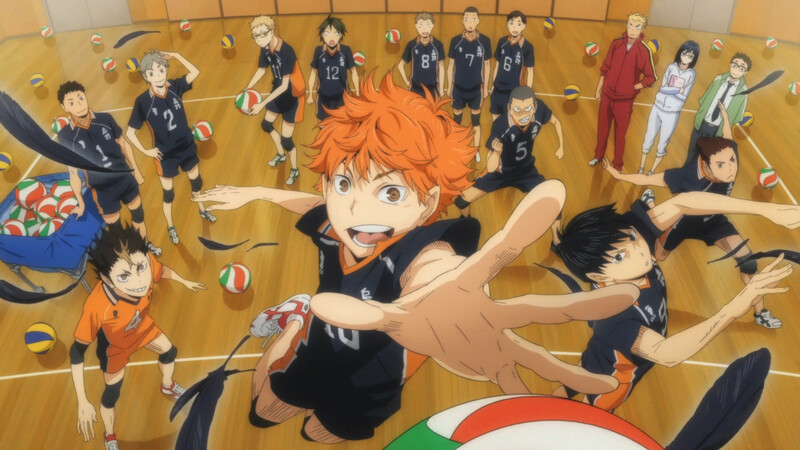 Depending on your hair color and preferences, you can be any one of the players in the Karasuno High volleyball team. Browse the active wear in your local store until you find an appropriate black and orange ensemble, and then add your own white numbers to cosplay as your favorite team member. Nice’s outfit might be hiding in your closet. He wears a long-sleeve blue shirt, black pants, and large headphones casually wrapped around his neck. He also has three strategically placed white bandages on his face. Color us impressed if you’re able to dig up the yellow and black vest. Your outfit also gets bonus points if you find a way to accent it all with NEON! The students at Totsuki Academy are all training to be chefs. 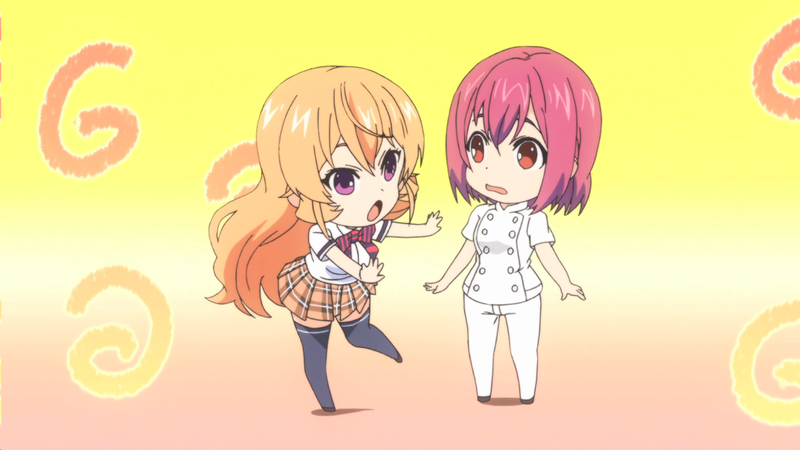 With the exception of main character Soma (who never seems to wear the uniform), the other students wear a standard chef’s uniform: white pants and a 10-button white chef’s coat. Wear glasses? 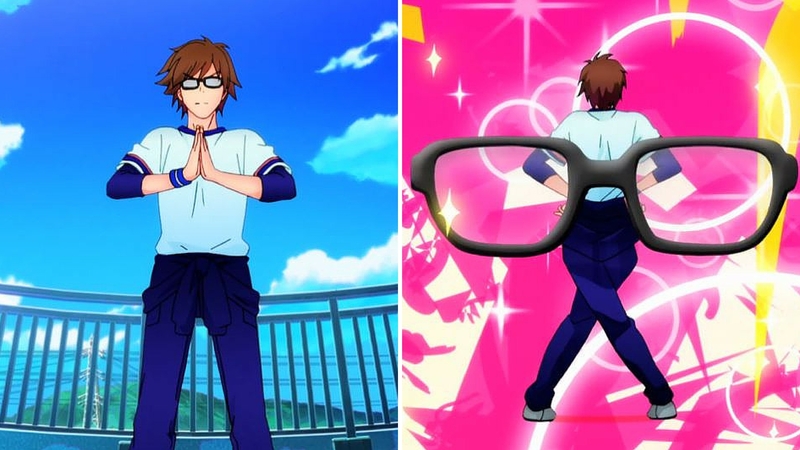 Use it as part of your easy anime cosplay! Dig out a pair of dark blue jeans or pants from your closet, get your hands on a blue wrist band, land then layer a white shirt over a long-sleeve blue t-shirt. You can also copy his 90’s style sweater-around-the-hips statement. Got a suit? 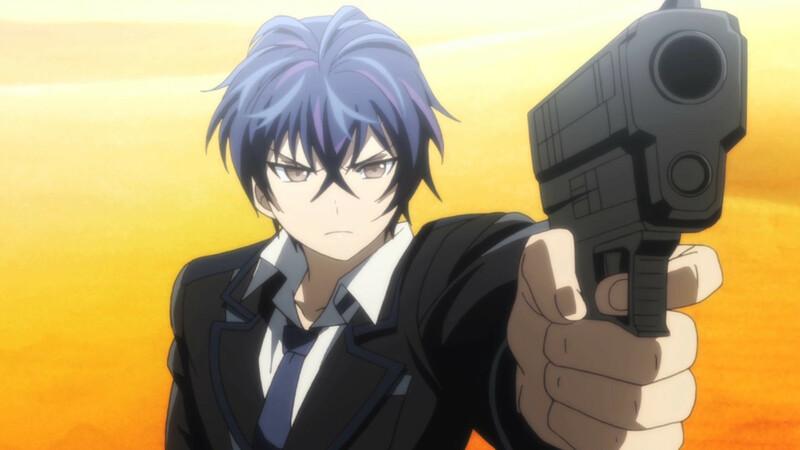 To cosplay as Rentaro, all you need is a black suit (bonus points if you can figure out how to line that suit in dark blue), a dark blue tie, and Rentaro’s cool “THIS IS MY GUN!” pose. If you’re game, you can invest in a pair of his trademark boots. Just make sure you button your jacket the right way: one button in the middle. He’s cool like that. 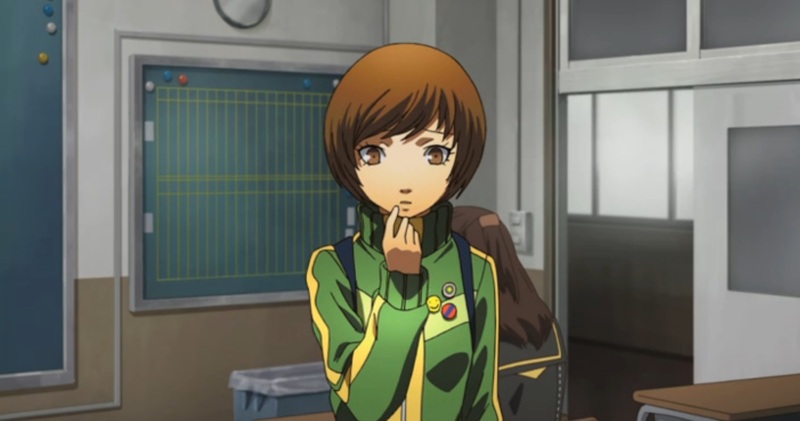 With her green and yellow track jacket, black and gray houndstooth pleated skirt, and iconic pins, Chie is a recognizable, but still fairly easy, character to cosplay. Don’t forget the white socks and loafers! You also should generally avoid her habit of landing devastating kicks into annoying people. Ladies or gents: can you get your hands on a sleeveless little black dress? For reasons that lie in spoiler territory, Yui spends the last few episodes sporting a black evening gown adorned with a red rose. If you’re feeling cheeky, you can draw vampire puncture marks around your neckline. 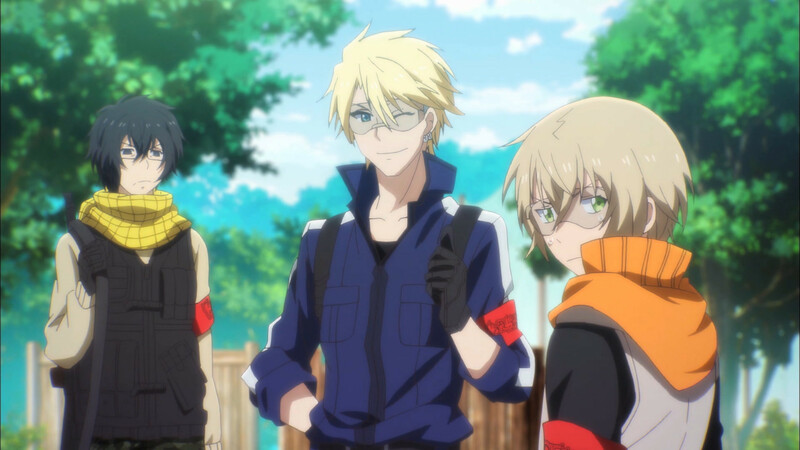 Any of the three members of Toy Gun Gun in Aoharu x Machinegun make for a fairly easy cosplay with the items already in your closet. What makes the costume work, regardless of which character you choose, is the red Toy Gun Gun arm band. If you decide to carry around a replica of an air soft gun, remember to abide by convention weapon carry rules! Don’t be afraid to raid your (or your friend’s) closet for materials. In the end, remember that cosplay should be about how YOU feel about the character you chose to represent. Find these characters and more on Sentai’s Hulu channel, and share your thoughts with us on Facebook, Twitter, or Tumblr! Feel like seeing real-life examples of affordable cosplay? 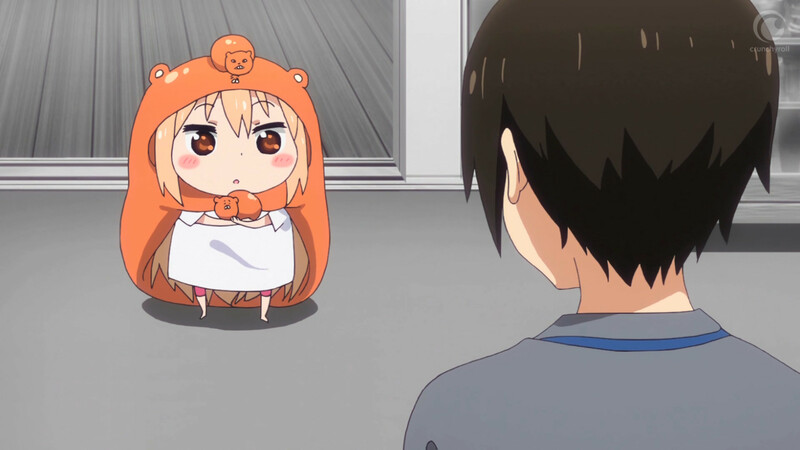 Some folks from the Sentai Filmworks office tried their hand at cosplaying for under $20.00! Vote for your favorite and receive free entries for the Iron Cosplay Competition sweepstakes.